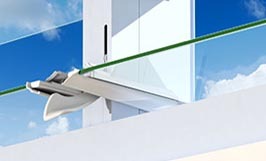 Altair Louvres with the Stronghold System are designed to mechanically retain blades so you can gain the benefits of full ventilation and safety in multi-storey applications. For further information please visit our Stronghold page. The page will open in a new browser tab so your form details are not lost. The Altair Dualair Louvre Component System is a sophisticated secondary glazed unit designed to deliver high performance to the commercial market. The system provides excellent ventilation while offering key performance improvements such as high Rw ratings, significantly improved water penetration resistance and low U-values making it ideal for apartment or school projects. For more information visit the Dualair System page. The page will open in a new browser tab so your form details are not lost. 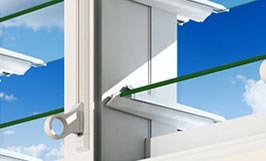 IMPORTANT: Would you like the Secondary Glazed Louvre System? 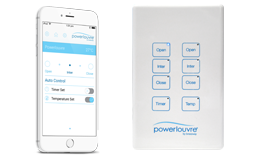 Operate louvres when an inside screen is installed. 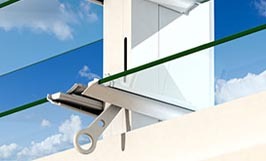 Security bars are available to fit 152mm (6inch) blade heights. 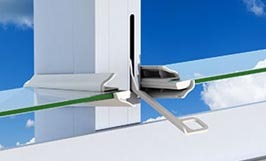 They can be set into some window frames and do not impede the operation of the window. NOTE: Not available with the Innoscreen Window System. Screens can be fitted to the outside of Breezway Easyscreen Window Frames and some other compatible systems, or internally with the Innoscreen Window Frame. Speak with your window supplier to discuss options.